"Good, the more communicated, more abundant grows. " John Milton (1608-74); English poet. 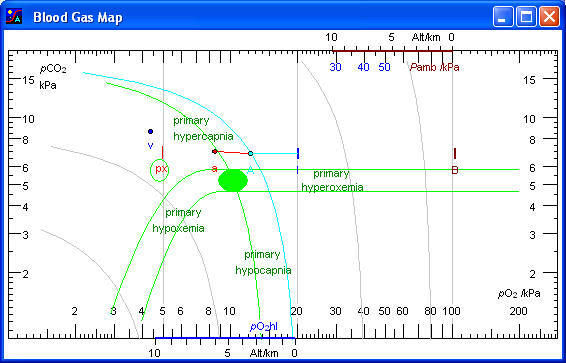 Describes The Acid-Base Chart, The Oxygen Graph, The Blood Gas Map, and The Oxygen Consumption Diagram. Includes a List of Quantities and several Appendices. File: OsaTextbook.htm, 595 kB. 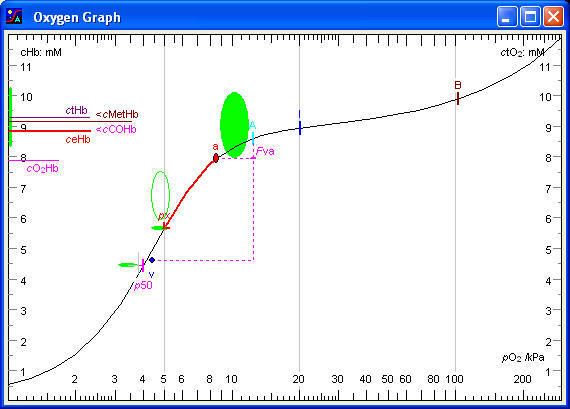 A computer program for calculation and graphical interpretation of the acid-base and oxygen status of the blood. The OSA program is a beta version. Start reading the Manual. File: OSA.exe, 822 kB. Version of 2005-09-18 with new temperature corrections for pH and pCO2. Requirements and limitations for using the Oxygen Status Algorithm. File: AboutOSA.htm, 11 kB. How to use the OSA-program. File: OsaManual.htm, 74 kB. Compilation of all the above mentioned HTML files. Provides on-line help for using the OSA-program and for interpretation of the calculated acid-base and blood gas data. File: OSA.chm, 336 kB. This file should be in the same directory as osa.exe in order to provide on-line help. After OSA.chm is downloaded it may be necessary to right click the file, chose properties, and unblock. The source code is written in Delphi 5. File: Unit_Calcul.pas, 33 kB. The complete source code for osa.exe may be available upon request. Defines base excess as titratable hydrogen ion. Gives an annotated bibliography on Base Excess with comments on Strong Ion Difference. File: OsaAnthologyOnBE.htm, 45 kB. 8. FAQ related to the acid-base status of the blood New! Which is the most relevant indicator of a "metabolic" acid-base disturbance, Base Excess or SID (Strong Ion Difference)? Which are the fundamental quantities describing hydrogen ions in a solution? What is the Standard Base Excess? What is the Oxygen Extraction Tension, px? http://www.anaes.med.usyd.edu.au/lectures/acidbase_mjb/frameversion.html: Thorough and well written tutorial on acid-base physiology, by Michael Bookallil. www.acid-base.com: A comprehensive description of the acid-base status of the blood, by Alan W. Grogono. 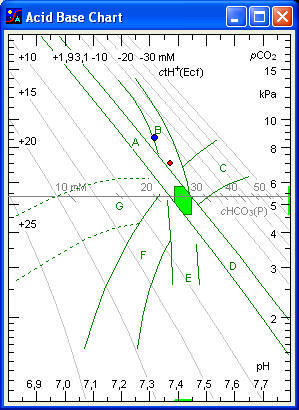 www.rcjournal.com/contents/01.99/01.99.026.asp: The strong ion difference approach: can a strong case be made for its use in acid base analysis? Editorial by eswenson@washington.edu. www.anaesthetist.com/icu/elec/: The physicochemical approach to acid-base, the Stewart approach. By Jonathan Waters, Jaishen Rajah, and others. http://acutecaretesting.org/: Sharing practical information about blood gas. Edited by Radiometer, Inc. Requires pass word.